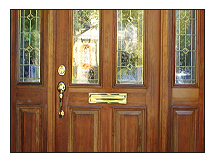 Mega Solutions , Inc. lines of fiberglass entry doors combine the look of a wood grain door with the low maintenance of a composite material. 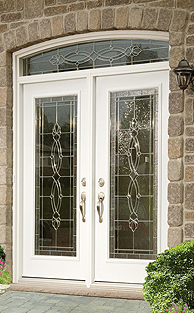 Fiberglass entry doors offer you, the homeowner energy efficiency and a product that won’t rot, deteriorate or rust. 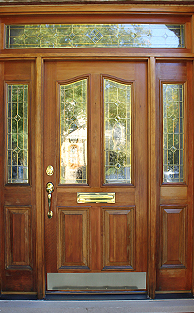 Upgrading your entry door will add value to your home by substantially improving the curb appeal. 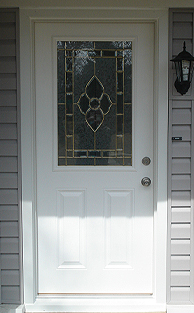 Mega Solutions, Inc. fiberglass doors can be painted in infinite color combinations and come complete with a new integrated threshold and door frame system to complete the transformation. 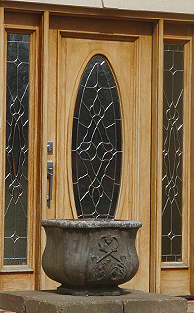 We offer a complete line of quality lock and handle sets with a variety of styles and finishes as well as a large selection of decorative glass varying in size from radius to full length. A properly insulated home can help reduce energy consumption, while making your home more comfortable all year round. Insulation is a key factor when trying to get the most out of your energy dollars. Even the most energy efficient heating and cooling systems will be forced to work harder in homes that are not properly insulated. Mega Solutions Inc. creates a more comfortable living environment by making your home warmer in the winter and cooler in the summer. 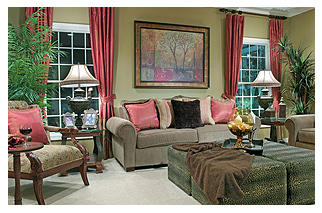 Plus, an extra comfort benefit is the noise reduction, since insulation absorbs sound and creates a quieter home. Have one of our professionals meet with you for a FREE in-home estimate to see where your attic may have inadequate insulation. Let us help you save money on your energy bills! Maintaining the eaves and overhangs of your home can be a chore. Our soffit and fascia provides a beautiful finished appearance while providing the ventilation you need to remove excess heat and humidity from eaves, overhangs and attics. All of our distinctive designs are available in both solid and vented panels. Solid panels can also be used for a striking vertical siding installation, adding interest to entrances, dormers or gable end walls. 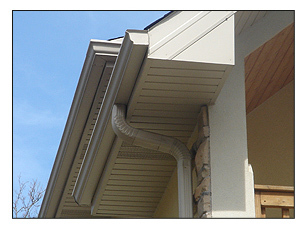 We offer soffit in vinyl or aluminum and wide variety of colors. 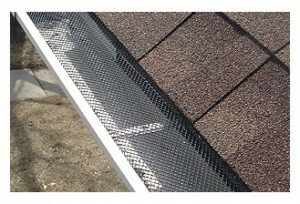 Gutter Goalie or Leaf Relief System is specially designed to protect your gutters from clogging. Clogs can cause major structural damage to foundations, basements, crawl spaces, decks and damage to costly landscaping. Both Systems allows the gutter to perform its intended function of directing rainwater away from the house, through unfettered channels. 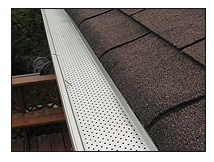 With Gutter Goalie or Leaf Relief System, homeowners can enjoy the benefits of a free-flowing gutter system. Designed for remodeling, residential and commercial projects, the 4-foot sections easily attach to new or existing 5 and 6-inch gutters. Mega Solutions, Inc. trained staff provides free energy inspections, consultations and installation of Gutter Goalie or Leaf Relief System. When it comes to remodeling, home repair & Custom Home Building, no job is too big or small for our licensed and insured company. From home additions & Custom Homes to simple repair work, Mega Solutions, Inc. is dedicated to providing our clients in Chicago Area with the highest standard of quality in workmanship and service. Our commitment is to complete every project on time, within budget, and to your complete satisfaction, and we take that pledge very seriously. Our highly experienced company has the knowledge and expertise to take your Custom Home or addition improvement project from concept to completion and will work with you to create a design that fits your style and budget. A home addition can be an easy and inexpensive way to increase your living space and improve your quality of life! Whether your family is growing or you’d like to boost the resale value of your house, we can help. We have been providing quality service to homeowners in your area for over 12 years and have extensive experience in building everything from entertainment rooms to kitchens. If you have any questions regarding any of the above services or would like to schedule your initial consultation, we encourage you to contact or call us today at 847.630.7397.